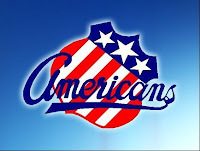 Luke Adam, Phil Varone, and Brayden McNabb all had goals as the Rochester Americans opened the 2012 preseason Wednesday with a 4-3 home-ice loss to Wilkes-Barre/Scranton. Mark Mancari compiled three assists in his first game back in an Amerks sweater since 2007-08, while rookie Mark Pysyk added a pair of helpers from the blueline. David Leggio made 28 saves for the Amerks, who will complete the home-and-home series with the Baby Penguins on Friday. We'll have more on the Amerks as the AHL regular season approaches. Elsewhere, Logan Nelson assisted on the game winning goal as Victoria slipped past Medicine Hat 4-3 in overtime. The Royals overcame a 3-0 deficit en route to moving into first place in the B.C. Division. Victoria (4-1-0-0) returns to action Friday at Spokane. Justin Kea picked up an assist as Saginaw dropped a 6-5 see-saw battle with Sault Ste. Marie. The power forward prospect has three points (1+2) through the Spirit's first five games. Saginaw will host Niagara on Friday. Andrey Makarov made 24 saves as Saskatoon lost to Red Deer 5-3. After scoring the game's first goal, Saskatoon surrendered four unanswered to slip to fifth place in East Division. The first goal allowed was an absolute highlight-reel play by Matt Dumba (MIN), who slipped to his knees but maintained control of the puck before roofing a shot over Makarov's shoulder. The Blades will tangle with Swift Current on Friday. In Sweden, Linus Ullmark made 15 stops as Mora IK was defeated by Orebro HK 5-3. Ullmark allowed four goals against including one of the power play before Orebro potted an empty-netter to seal the win. Mora gets back at it Sunday versus Karlskrona HK.